Absolute Grinding and Manufacturing manufactures a full range of standard and special knock-​out pins, custom pins and punches for the cold heading, stamping and die-​casting industries. 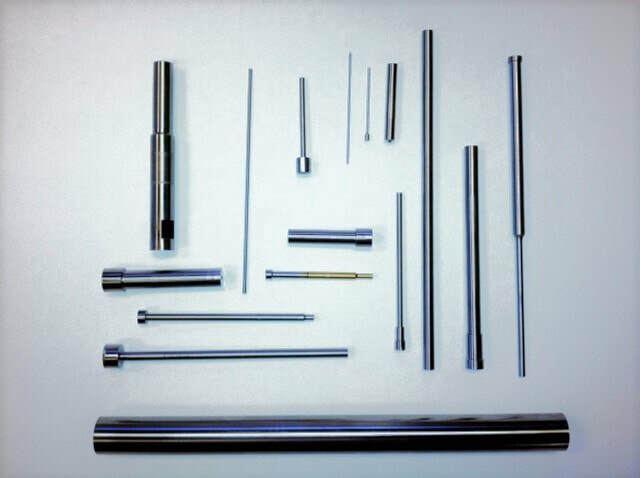 Standard Pins are made out of M2 and are Heat Treated to 61Rc to 64Rc. Standard Knock out Pins feature three Styles. Style 3 "Headed with a Taper"
There are many applications for Special Ordered Knock-Out Pins, and they can be made to different geometric and material specifications, as specified by our customers. Absolute Grinding and Manufacturing manufactures a wide variety of precision round and ground products to meet today’s increasing demands for superior performing tools while providing quality and dependability. We offer a full range of grinding capabilities, and proven and reliable inspection equipment. We are here to assist you from concept to prototype to full-​scale production.